What is your deepest desire in life? What question can reveal to you of what you truly want to achieve in life. Once you know what you really want in life, then ask WHY. Why question serves the purpose you have behind your goals. If you have a strong WHY, your WHY will support you in overcoming obstacles. People often want to know the HOW first. The answer of HOW is sometimes a mystery. We don’t always know the HOW. The answer of HOW will be revealed to you when you keep repeating the question HOW. Your brain will search for answers. Often, you get ideas and you see the opportunity presented to you when you keep asking HOW. I hope that you will apply these 3 coaching questions in setting your goals. Discover more how coaching can help you achieve your goals. Have you seen the iceberg? 80% of iceberg are hidden beneath the water. Our limiting belief is invisible and hidden like the iceberg. How did we acquire our limiting beliefs? We had them from our experiences, dealing with people. When someone hurt you, and you took the heartache and believed that it was your fault, and you had to hide it. This heartache can grow into a limiting belief, and you stop yourself from taking actions because this limiting belief limits you. When I started to explore Internet Marketing, I had limiting beliefs. These limiting beliefs came from the heartache that I had when I was young. I doubted myself if I could do it, I didn’t have the self-confidence in writing and speaking English. I learned to overcome my limiting beliefs by talking to a coach. When I talked about it, it brought my awareness. I had less fear too. I join Toastmasters to challenge my limiting belief of speaking. I do make mistakes in my video or my writing, but I keep going. Now, I speak English to native speakers using online platform week after week with my role as a consultant, a coach or a virtual assistant. So, I would encourage you to discuss limiting beliefs you have with the person you trust or a coach. Challenge them and let them go gradually, so you can achieve your goals in the year 2016. Be happy and you deserve to have abundance in life. Watch my video goal setting tips, overcoming limiting beliefs above to learn more. A goal is more than a statement. Let’s dig deeper into your goal by asking questions so you can connect with your goal emotionally. When you intensify your feeling, you have more intention and focus to make your goals happen. I have given examples some powerful coaching questions in the video of goal setting tips. I would encourage you to dig deeper into your goals with a partner or a coach so you can connect with your goals emotionally. I wish you success for your goals in year 2016! Time flies, we’re going to leave year 2015 and to welcome year 2016 soon. It’s time to revisit and re-evaluate your goals again. Discuss your goals with your accountability partner or your preferred coach or the person you trust. When you discuss your goals, you have the intention to make them happen. Do you quantify your goals? What projects do you want to complete or to finish? And when is the deadline? Or do you want to improve the qualities of your life? You want to be happier, more confident, more loving etc. Goal setting process is not just chasing the outcome or results, but the process in achieving your outcome is a life changing process. You may change your habits, improve your skills, change your thoughts and feeling. 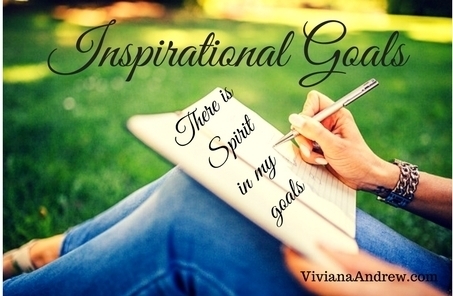 So, I would like to invite you to set your goals to plan your life in year 2016.